Sciblogs | What would you do with $500 million? Before you list the super yachts, luxury cars, mansions and round-the-world first-class trips you would buy, observe the caveat – $500 million… to transform the New Zealand economy. Ah, a bit harder to think of good ways to carve up the cash, isn’t it? 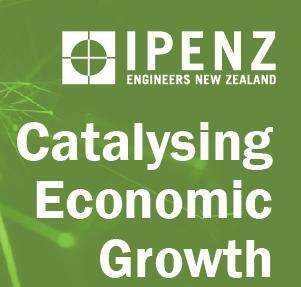 Well, that is that exact question engineers orgainsation IPENZ posed when it came up with Catalysing Economic Growth, an ideas piece it launched this week in Wellington that looks at how we can try and boost innovation and expertise in the private sector. Fellow Sciblogger Peter Kerr has covered the details of the report in two excellent posts here and here. Eseentially however, IPENZ is proposing the Government find $500 million additional expenditure to put into initiatives to encourage innovation and co-investment in ventures between publicly funded research institutions and New Zealand businesses. IPENZ suggests that this level of spending, if allocated properly, would generate $1 – 2 billion in additional private investment, generating 5,000 – 8,000 R&D jobs and “an annual demand for several hundred post graduates by the private sector”. The quote is from our own titan of innovation, the late, great Sir Angus Tait, founder of Tait Electronics. It assumes that we want to get rich(er). That’s an easy assumption to make when a million of our people are overseas, many of them homesick but professionally more fulfilled than they could ever be back here. Look, $500 million is a drop in the bucket and could be sliced and diced any which way to add up to not much of a difference. Where IPENZ, in its blunt engineer-like approach gets closer to the bone, is in the “disruptive” approach it is taking. Consider this for instance: imagine if the PBRF (performance-based research funding) dished out to academic researchers in New Zealand was dependent on those researchers securing equivalent funding from the private sector. Think of all those heads of departments at the universities who currently measure their success by the number of papers their academics publish in peer-reviewed journals. What if their success was measured by how much co-investment they did with the private sector in R&D projects and the number of graduates they placed with companies. It would turn the academic thinking on its head. “This will not be popular,” admits Clelland, a former academic who undertook research in research interests in energy, refrigeration, and food process engineering. “We actually need to get to a disruptive level of R&D,” he told the audience in Wellington this week. A disruptive level of R&D in Clelland’s book is equivalent to three per cent of GDP (gross domestic product) – one per cent from the public sector, the remainder from private companies. That level of spend would put us ahead of the curve in OECD countries in terms of our spending on R&D. Those countries that spend more, typically have healthier hi-tech economies and higher-skilled workforces. Is it realistic? I can hear the howls of outrage from the universities from here – it even caused a murmur among the the audience of business folk Clelland first floated it with. But if we want a step-change in the economy, maybe that is the type of transition we need to make. One of our other great thinkers, Sir Paul Callaghan, a man who has been showered in accolades in the last year, including most recently New Zealander of the Year, seems to agree. He paints a compelling picture when he quantifies the challenge we face in our bid for a more prosperous country. Our current gross domestic product per capita corresponds to $120,500 of revenue per employee. To match Australia, we need $174,000 a job. By contrast, tourism in New Zealand earns $82,800 revenue per employee, a mere two-thirds of what is needed to maintain our current per capita GDP. Tourism may provide valuable employment for underskilled New Zealanders, but it cannot provide a route to greater prosperity. Productivity is not about how hard people work. It is about the nature of the work they do. Samsung, which makes silicon chips and consumer electronic products, earns NZ$850,000 a job while Apple Inc earns $1,700,000. The backbone of our prosperity is dairy farming, with $350,000 a job, but environmental limitations prevent us from scaling up. So how would you spend $500 million to try and transform the economy? Do you agree with IPENZ? Excellent summary. Have you had the opportunity to ask practicing scientists about their reactions or thoughts to such a proposal? Yeah I floated the IPENZ ideas at a conference over the weekend – the co-investing between universities and the private sector being a condition of getting funding went down like a lead balloon with the scientists in the room. They felt the push towards commercializing science in New Zealand is short-sighted and risks destroying a valuable research base. However some admitted they are increasingly getting involved in commercialization and feel the need to gain skills in this area. Overall though, a big thumbs down from researchers… no surprises there. >scientists in the room…felt the push towards commercializing science in New Zealand is short-sighted and risks destroying a valuable research base. All the more urgency then for scientists to learn to better communicate to the taxpayer what the value of this research is – the value to the taxpayer. I can understand that some scientists will feel a threat. As always I guess, it is that trade off between research into something interesting, with potential (but as yet unknown) benefits, and application of knowledge, now, to produce a monetary or social benefit outcome. I certainly don’t know where that line should be. I’d be interested to know what/how scientists in other countries deal with this challenge.